Todd Berardi, Dan Craytor and Alyssa Warnock came up with the idea to create a refreshing beverage without an energy component, while they were continuing to grow Hiball Energy (founded in 2004). They noticed a gap in the market for a premium beverage that could be enjoyed by anyone (kids, those with sensitivity to caffeine, at any time of day). 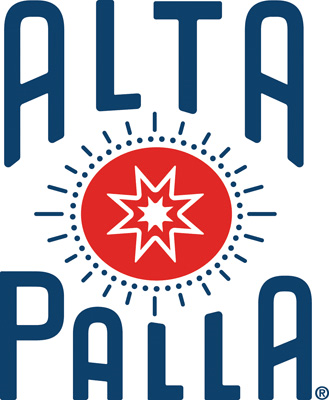 The name Alta Palla translates to “Hiball” in Italian and pays homage to Todd’s Italian heritage, and their love for travel and wanderlust– with a touch of nostalgia for a refreshing, lightly sweet soda. The brand was launched in 2016, utilizing relationships with suppliers of Organic and Fair Trade Cane Sugar and Organic Fruit juice that were already in place with Hiball. In 2017, Alta Palla Sparkling waters were launched as a refreshing zero calorie, zero sugar beverage. Both lines are modern, premium takes on classic refreshment.